Join our animal friends in this interactive production exploring the differences and the simularities we share in this world. Children will be taken on an adventure filled with origional songs, dance and drama creating fully edcational experiences for all. Sing along with so to folk songs, learn to dance like the camel and Howl like the Wolf. All Around the World is the second story in a series of adventures in the Wobbly wood. We explore the world and welcome our differences. A tale to share that no matter where we come from we are all must respect this one world that we share, looking after it together in unity. We love the world we're in! Imajica Theatre Companies education production of All Around the World' is specifically designed for Primary school children. 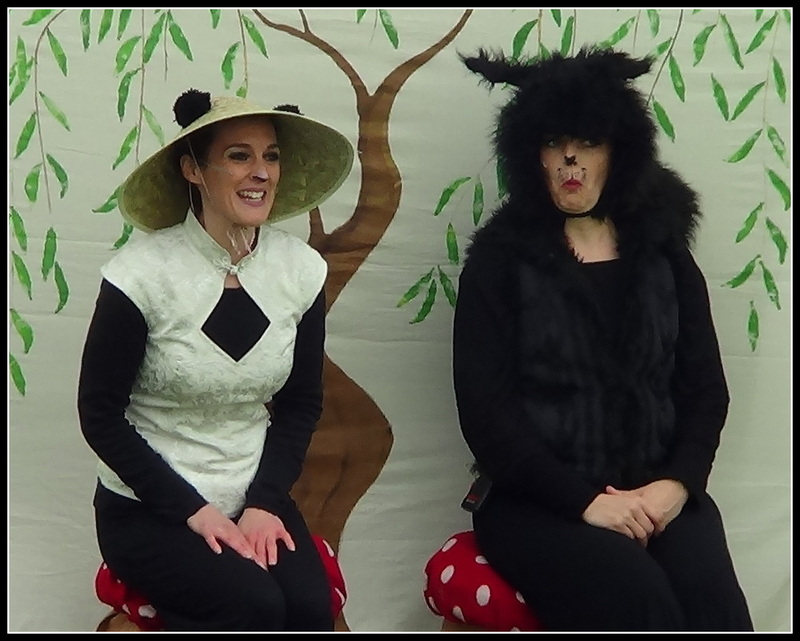 In just one school day we can transform your school hall or venue into a mobile theatre, perform 2 shows and then return your hall as we found it. Imajica Theatre Company follow on workshops are filled with songs, dance and drama and take children into a world of magic and make believe. We can tailor our workshops to suit you requirements and are lead by 2-3 of the cast. A workshop includes games such as Forest & Castle- a drama game to build characterisation. Animal Statues - musical statues, Heppa Heppa? - lean a easy to follow choreograhy and While Walking in the woods- A Sing-a-long game with actions too - 'Lets pretend! - in interactive imaganative drama game with songs and dance.